Two Philadelphia book signings coming right up! The first is at Reading Terminal Market (12th and Arch streets), where I do my bi-weekly Taste of Philly Food Tours and also act as the Market’s eblast/website news correspondent. I’ll be signing copies of the book in the Market’s Center Court from noon to 3 p.m., Sat., Nov. 16. 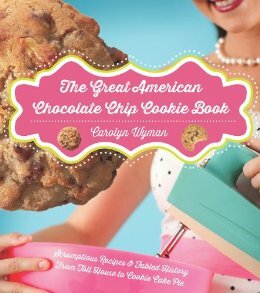 Signed books there will come with one free cookie from the Market’s Famous 4th Street Cookie stand, a multiple Best of Philly magazine award-winning business featured in the Chocolate Chips To Go chapter of the book and pictured on that chapter’s introductory page. Why is it called Famous 4th Street when it’s located on 12th Street? Because these cookies were originally only sold at the Famous 4th Street Deli on 4th and Bainbridge streets. 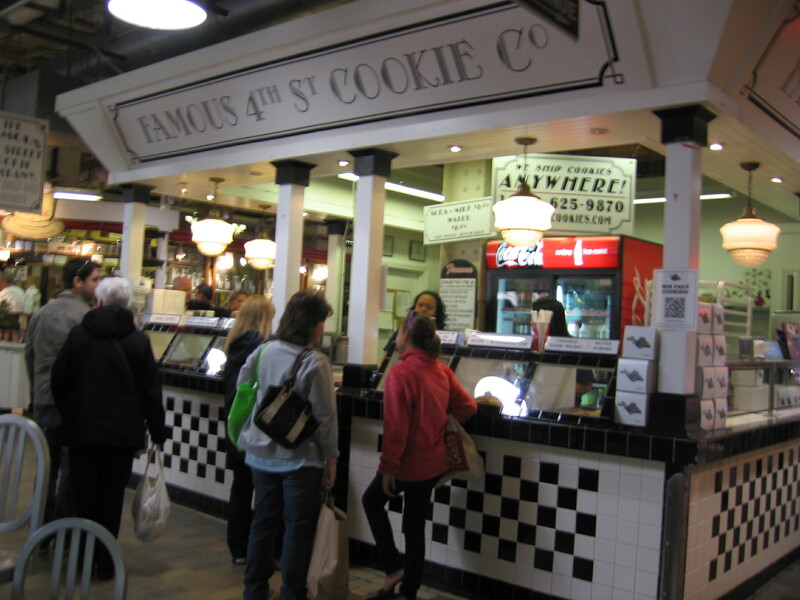 The Auspitz family sold the deli in 2005 but kept the side cookie stand located in Reading Terminal. Their “Famous” chocolate chip cookie is from an old family recipe of David Auspitz’s wife, Janie. The deli originally had a grocery area, including an ice cream freezer supplied by the local Jack & Jill distributor. But when Haagen-Dazs ice cream was first introduced and became all the rage, David put some Haagen-Dazs pints in the freezer, to the extreme displeasure of the Jack & Jill distributor, who promptly took his freezer back. 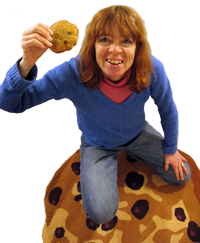 This also being around the time of Famous Amos’ greatest success, Janie suggested David trying selling her cookies in the newly empty space. Thus did one Auspitz sweets sideline melt away and another rise (both literally and figuratively). I’ll also be signing books at the Barnes & Noble in Rittenhouse Square from noon-2 p.m. on Thursday, Dec. 5. Chocolate chunk cookies from the Barnes & Noble Cafe will be served at that event.